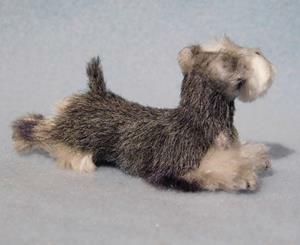 It's been a little while since I've offered a Schnauzer and also quite awhile since I've worked with alpaca. I first carefully sculpted the little guy in polymer clay, painted the tiny details with acrylics and applied a combination of alpaca (for the body) and silk for the face and all the feathering. 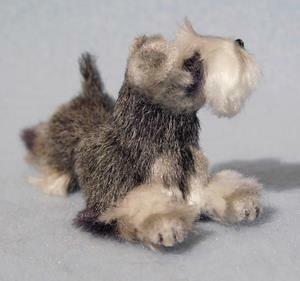 His new owner will receive an original electronically signed certificate via email that may be verified through the ebsq site. 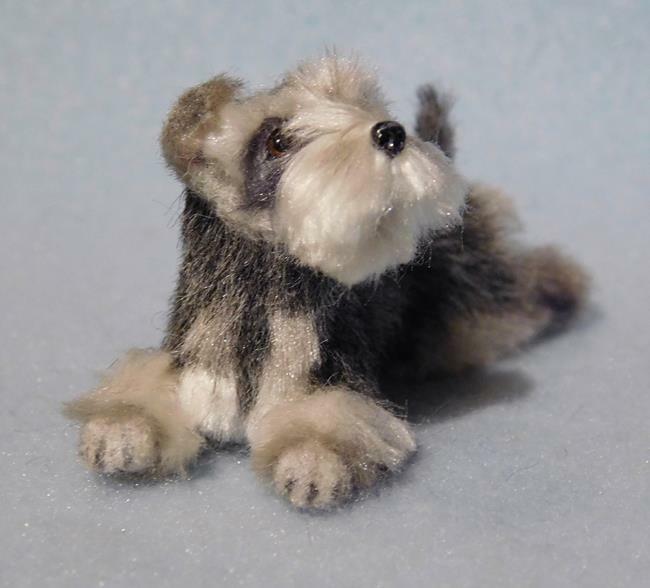 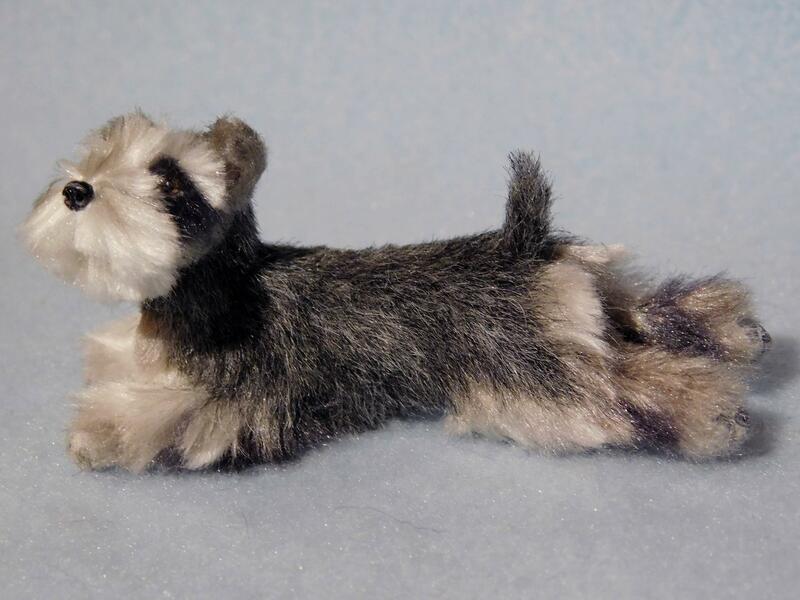 This would make a great addition to your original Miniature or Schnauzer collection!